Last week I laid out 3 Untapped Social Media Resources for Teachers. 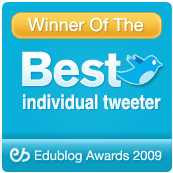 This week we take a look at how to leverage social networks for students. My sister is a senior in high school. Whenever we spend time together I ask her about “what the kids are into these days?” She is right in the heart of the age range for kids who use social media the most (13-18 yrs old). Our conversations give me a sense of how kids are using social media and her thoughts on using it for learning, or even if there is a place for it. She tells me all the time that she’s “addicted” to her phone, just like most adults. Most of her time is spent on Facebook, Snapchat and Instagram. She and her friends are sending photos, snaps and videos back and forth all day long. That is their world. They are continually capturing what is happening around them and sharing it with each other. And we have the data to back her up. According to the Pew Internet Research Study, in 2015 it found that 92% of teens go online to be social daily, with 24% saying they are there nearly constantly. 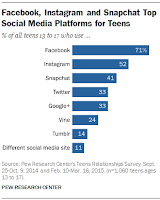 All use at least one social networking site, with over 71% saying they use more than one. 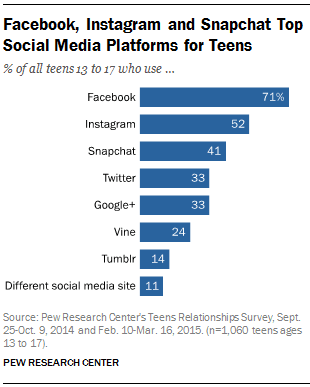 I don’t think anyone would argue that the vast majority of kids (ages 13-17) use social networking. The data clearly backs that up. But once they reach the schoolhouse door, that use stops, at least for formal learning. 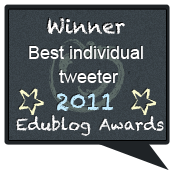 We know in the hallways and hidden under desks those students are still posting, snapping and sharing. 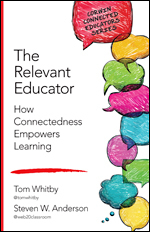 What if we brought those phones and tablets out of the shadows and added elements of the way that students use these social networks to formal learning? What it we were able to snap and gram and share our way to better learning? And what if we could tie in elements of digital citizenship along the way. 1) Facebook-Over 3/4s of the kids surveyed say they use Facebook every single day. There are arguments that can be made that say these kids are moving away from Facebook in favor of other services so they can be away from their parents or other family members. Asking any teenager will tell you that is mostly true. But they will also tell you they still go there and interact with the content that is there. In this age of fake news, divisive political talk and the sharing of inappropriate content now is an excellent time to use Facebook in the classroom to help teach. There are many examples of fake news or misleading headlines that could be pulled and shown to have a discussion on how these items sway public opinion. A quick Google search will also show content that might be better left off Facebook entirely. A discussion on privacy settings and an understanding of the rights we give up when we post photos and videos there could go a long way to helping students understand their digital presence. All this can be done on a private page that you create to facilitate these conversations. 2) Instagram- I use Instagram on a daily basis to share images, motivational quotes and pictures of my daughters of course. Kids, as we can see, are using it as well to do exactly what adults do. Document their lives and share it with others. Photos can be a powerful tool to demonstrate understanding, feelings toward certain events or quickly share ideas. Instagram has become even more powerful adding in Stories and albums which allow you to share several photos and videos at once. 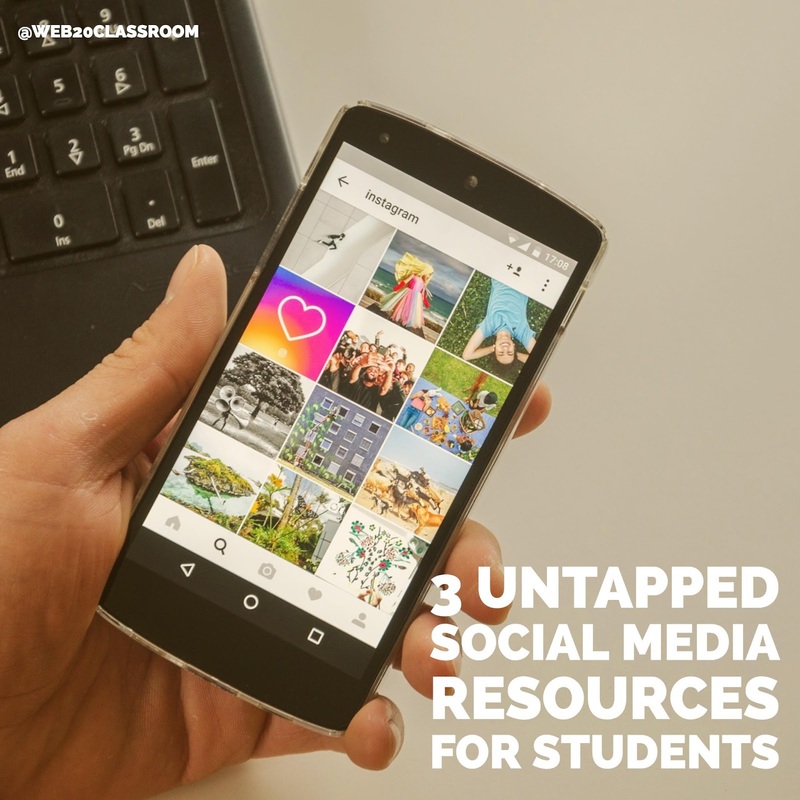 Instagram can be a great edition to any classroom. In addition to using it to share what is happening in the classroom, students can shoot short videos to show a concept or summarize their learning. During this time of year giving students control of that account each day to show what it’s like to be a student in that classroom or school can be a great marketing tool. Or what about using it to show reflection and the process of learning? Students can share images that show their entire thought processes. 3) Snapchat- I’ve been using Snapchat for over a year now, both personally and professionally. When I talk to educators about bringing it into the classroom I get the same reaction every time. There is no place for that tool in the classroom, period. I beg to differ. At a conference recently about the future of messaging and interactions with technology I heard someone talk about our obsession with pictures and videos. Traditional services save those in an archive that we can go back for years and years to see. Even most of us on our phones can find years worth of photos. The problem with digital hoarding is that we can’t find the best stuff because we have to wade through the junk. Not everything we take a picture of, not every story has to last forever. Snapchat has gotten a bad reputation because the images and texts do disappear. And that made it easy for anyone to share anything inappropriate. But we can’t blame the technology. We have to change the conversation and find better ways to use that technology. Starting to use Snapchat in the classroom can help do that and show students there are better ways to use it. In the same ways students can use Instagram to document learning, they can use Snapchat as well. Except now they can mark up their image with stickers, text and more. They can also share those images and videos to a story that allows anyone to follow to see how they progress through their learning. I enjoy to see students who interview classmates about issues in their school or sharing the whole “day in the life” story. In the end we are showing students that it's their use of the technology that determines appropriate use. And just because something posted there disappears, doesn’t mean it can’t be saved. Is there overlap between these services? Sure. But that doesn’t mean we have to be limited to using one over the other. It can be a mix of them all and others. We have to think differently about how we use these, what I still call “non-traditional” tools and how they can be used for learning.